Google is hosting an event on Tuesday where it’s expected to announce all its new hardware. The most anticipated new devices are the Pixel 3 smartphones, which have been leaked so much in the last few weeks that I feel like it’s already available to buy. Oh, wait – it was available to buy! 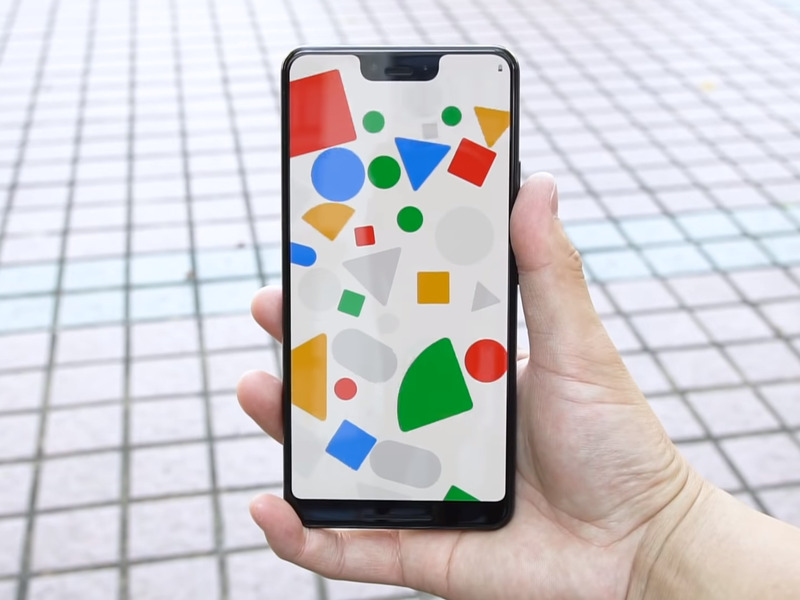 A shop in Hong Kong somehow got ahold of Google’s Pixel 3 phone, which was picked up by Engadget and revealed to the world. The phone was being sold for around $US2,000, but I wouldn’t expect the Pixel 3 to cost as much when Google announces it on Tuesday. Apart from the Pixel 3, Google will likely unveil new new models of existing devices, as well as a brand new smart device that will house Google Assistant. 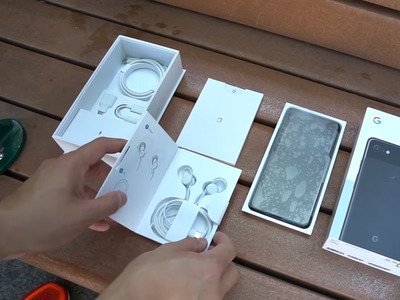 The Pixel 3 and Pixel 3 XL, which have been fully leaked before the event. The Pixel 3 is perhaps the most leaked device in recent memory. 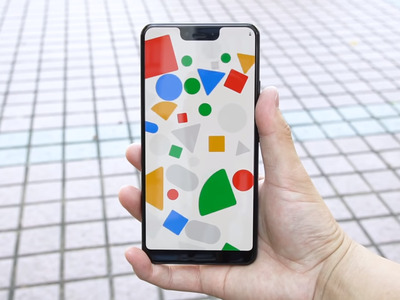 It’s so “leaked,” in fact, that you could take a walk in Hong Kong and potentially run into someone using the new Pixel 3 before Google’s event. The new phone from Google apparently went on sale in a Hong Kong shop, and Engadget got its hands on the larger version, known as the Pixel 3 XL. The phone reportedly has a 6.3-inch display, runs on the latest Snapdragon 845 chip from Qualcomm, and has two selfie cameras (one of which is an ultra-wide angle lens for more inclusive selfies). Wired Pixel Buds, which will come with the new Pixel 3 smartphones. This is noteworthy, as the Pixel 2 smartphones didn’t come with USB-C earphones, despite the fact that Google ditched the headphone jack. 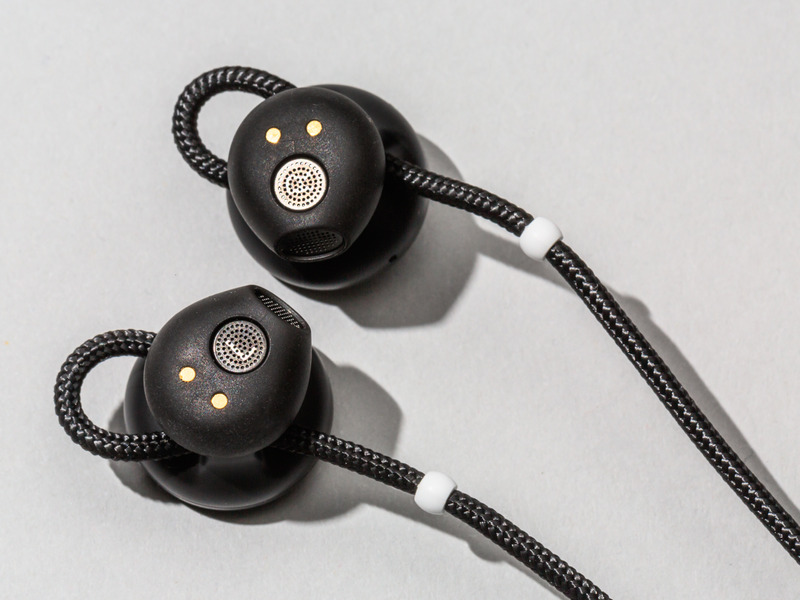 Pixel Buds 2, a new version of Google’s wireless earbuds. Few rumours exist on the Pixel Buds 2 wireless earphones, but the general consensus is that Google will announce new Pixel Buds at its October 9 event. We’re hoping that a new set of Pixel Buds will bring substantial improvements over the originals, which weren’t well received at all by critics, including Business Insider’s own Avery Hartmans. 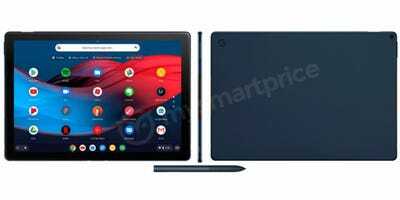 The Google Pixel “Slate,” a new Chromebook tablet. The new Pixel “Slate” by Google is said to be a Chromebook tablet designed to be attached to a separate keyboard. Tech blog MySmartPrice, which has accurately leaked Google products in the past, obtained the photos and details about the new device. It’s a similar form factor as Microsoft’s Surface Pro tablets, which can be attached to a keyboard. The Pixelbook Slate’s keyboard will feature a touchpad and round keys, and the tablet itself is said to have a camera on the front and rear, and a power button with a built-in fingerprint sensor. The Pixelbook Slate will also reportedly be compatible with an active stylus. 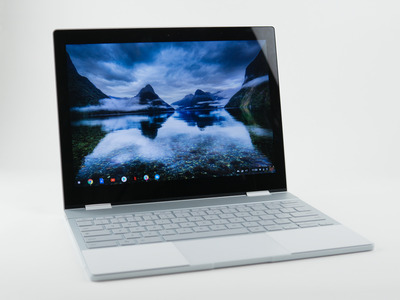 A new Pixelbook with a more traditional laptop design. Antonio Villas-Boas/Business InsiderThe original Pixelbook. The other Chromebook may take on a more traditional laptop design – it could even be the direct successor to the original Pixelbook, which launched in 2017. We don’t know much about the new Chromebook, but it is said to come with a 4K display, according to Kevin Tofel from AboutChromebooks. 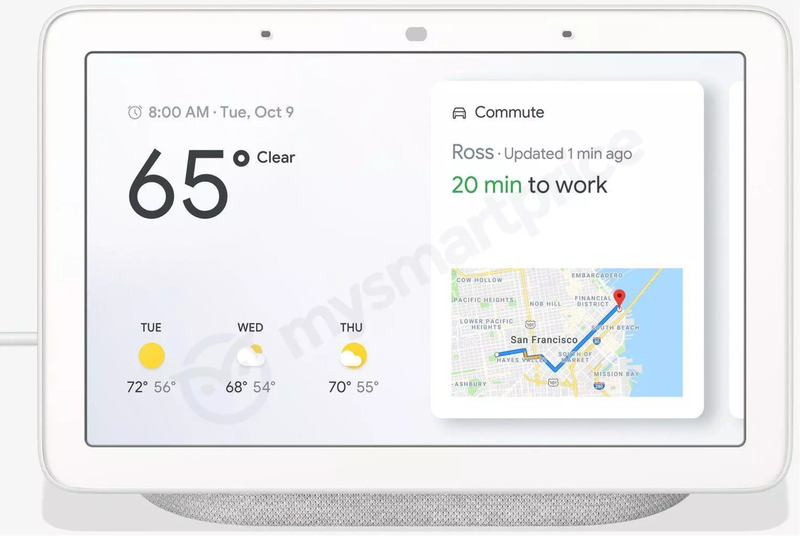 A new smart screen device called the Google Home Hub. 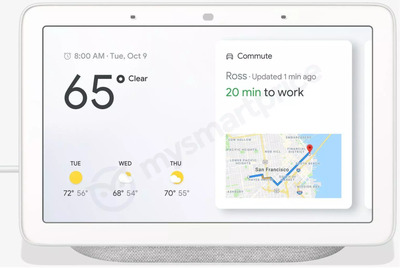 Google may also announce a new smart screen device called the Google Home Hub, which will essentially function similarly to Google’s Home smart speakers powered by Google Assistant, but with a 7-inch touchscreen. The device is pretty straightforward, based on the leaked documentation obtained by MySmartPrice: You’ll get the information you’ve always received from Google Assistant – like the weather, calendar events, commuting information, news, and any other useful data – with the added bonus of seeing the information, rather than simply hearing it. Google’s Home Hub wouldn’t be the first device with a screen that has Google Assistant built-in – Lenovo has a smart device called theLenovo Smart Display. If you want an idea of what Google’s Home Hub will do, checking out Lenovo’s device would be a good place to start. A slightly redesigned Chromecast streaming device. 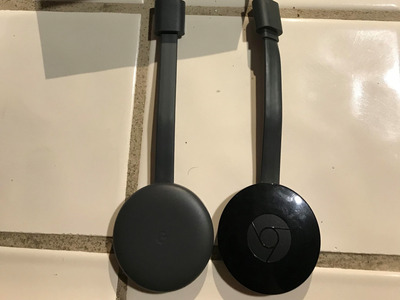 Reddit/GroveStreetHomiesThe new Chromecast (left) was bought from a Best Buy store nine days ahead of Google’s event. This leak has an unusual story: According to Android Police – which first spotted the report on Reddit– a Best Buy customer was able to buy an unannounced and unreleased model of Google’s Chromecast media streaming device a full nine days before Google’s event. The Redditor said the Best Buy cashier at first wasn’t able to scan the device because it wasn’t in Best Buy’s system yet. 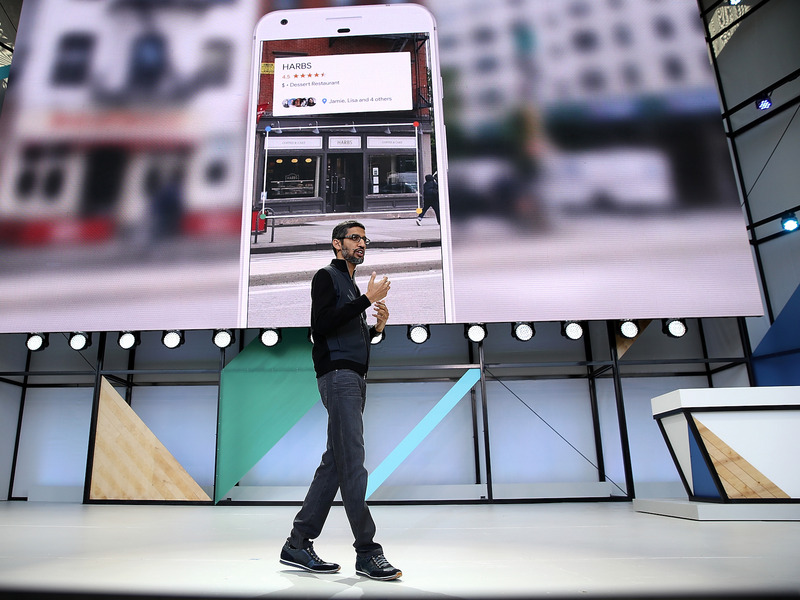 It showed a release date of October 9 – the same day as Google’s upcoming event. The new Chromecast appeared to have the same price as the previous generation Chromecast, so Best Buy rang it up as an older Chromecast and sold it to the Redditor. Unfortunately, the Redditor wasn’t able to start it up, as it required a Google Home update that isn’t available yet. Apart from its slight redesign, we don’t know what new features it might have.